Dublin is a city boasting impressive cultural and historical attractions, thus being ideal for a luxury city break. The best Dublin hotels are located in the centre of the city and many of them feature a wide range of facilities and amenities that will make you feel pampered during your stay. Overlooking the famous Trinity College, this historic building is located nearby the shops of Grafton Street. 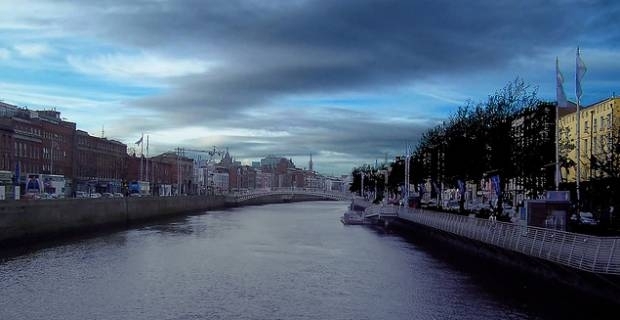 The Westin Dublin is only a 10 minutes’ walk from St. Stephens Green and the National Gallery of Dublin Castle. The Westin Dublin has an atrium where you can enjoy a drink under a glass roof. The Art Deco restaurant serves Irish and international cuisine, and there is a bar located in an old vault, which makes this one of the most popular luxury Dublin hotels. Located in the heart of the city, this cosmopolitan hotel overlooks the elegant gardens of St. Stephen's Green and it is close to the chic shops of Grafton Street, being just a mile away from the Dublin Castle. An elegant lounge is the place where you can serve Irish whiskeys on a curved pewter bar. Two very popular restaurants offer fine dining, the Thornton being renowned for its French cuisine and Citron for its Mediterranean signature dishes. Decorated in a modern style, the 139 rooms of the Fitzwilliam Hotel feature cushioned sofas, wardrobes in walnut and tiled bathrooms with power shower. This luxury hotel is located in the heart of Dublin, within walking distance of the National Gallery of Ireland at Merrion, National Museum of Ireland and St. Stephen's Green. Trinity College and Dublin Castle are also nearby. If you are looking for luxury Dublin hotels that are not located in the vibrant centre of the city, the Ritz-Carlton is an ideal choice. This hotel conveniently situated in a rural setting and close to the Powerscourt Waterfall and Powerscourt Golf Club. The Bray Beach and the National Sealife Centre are also nearby.